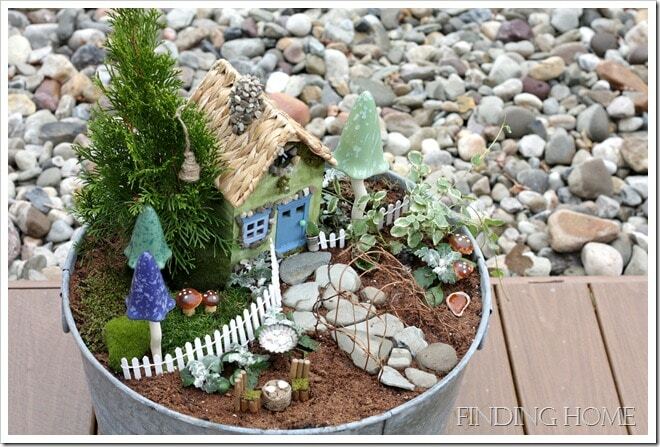 Are you addicted to fairy gardens as much as I am? There’s just something about the teeny tiny little houses and swings and benches that make me feel like I’m a kid again playing with my dollhouse. But this time there are plants involved and I get to get my hands a little bit dirty. 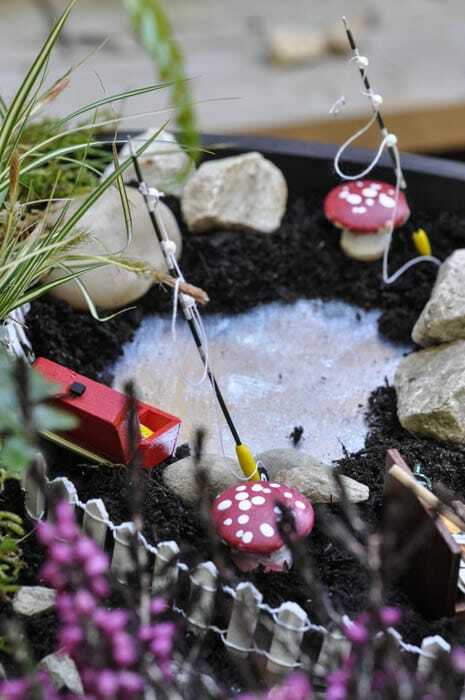 So if you share in my addiction, I’ve rounded up some fantastic fairy garden ideas for you . 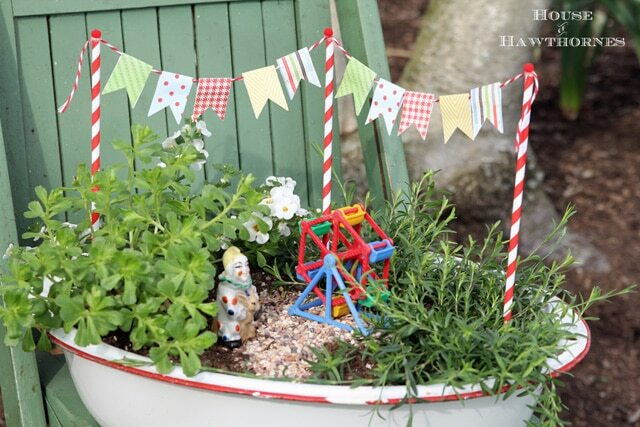 . .
You can check out my Circus Themed Fairy Garden I made in an old enamel wash basin. I’ll warn you up front, it has a clown in it. But it’s not a scary, pee-your-pants kind of clown. More like a happy, hand-you-a-balloon and kiss you on the forehead kind of clown. 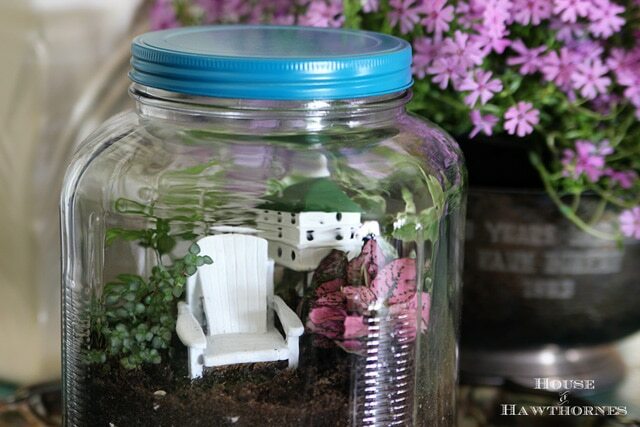 Or if you prefer enclosed fairy gardens (aka terrariums) you may like my Terrarium Tutorial. Added bonus – the lid seems to keep the clowns out. 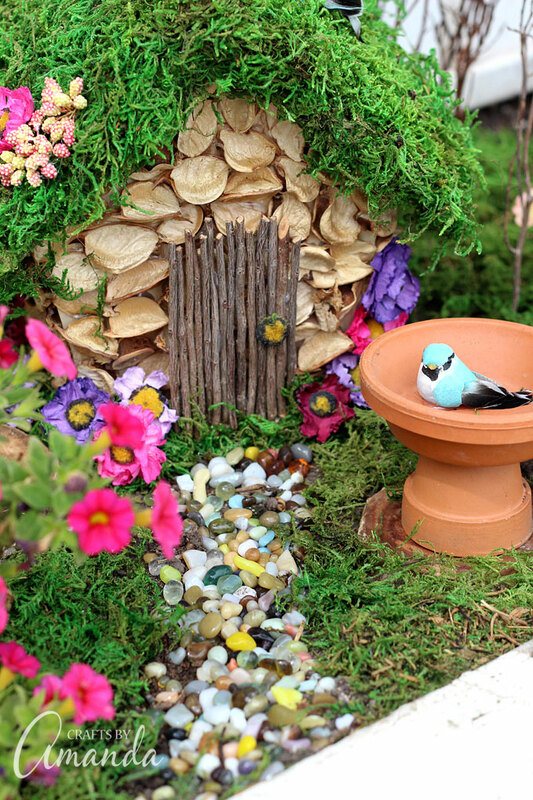 Amanda from Crafts By Amanda has a GORGEOUS fairy garden and she shows how to make the house and little birdbath also. 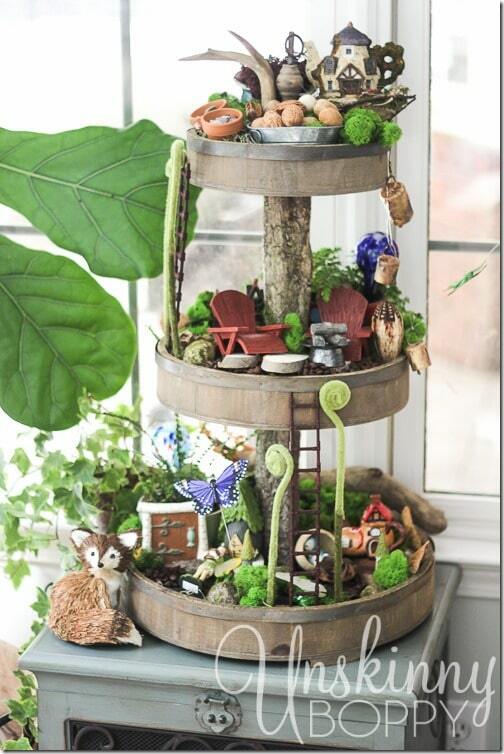 Beth from Unskinny Boppy made a super-cute fairy garden from a rustic wooden tiered tray! Angie from Country Chic Cottage made these ADORABLE (with all caps) Mason Jar Fairy Gardens for Crafts By Amanda. Tara has an awesome tutorial on how to make some of your own fairy garden decor at Crafts Unleashed. She shows you how to make your own toadstools and how to make a pond along with some other fun stuff! Laura at Finding Home shows you how to make some outdoor chairs out of sticks in her fantastic fairy garden in a galvanized tub. Malia at Yesterday On Tuesday even has a video showing how she created her whimsical fairy garden. 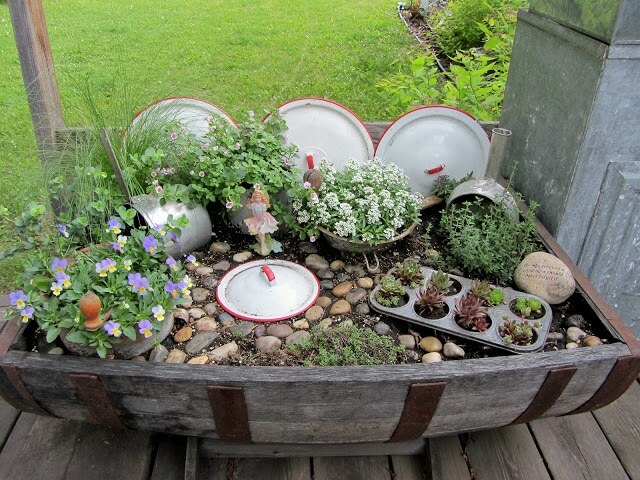 Carlene at Organized Clutter made her fairy garden in a wine barrel. She repurposes vintage kitchen items in her garden. 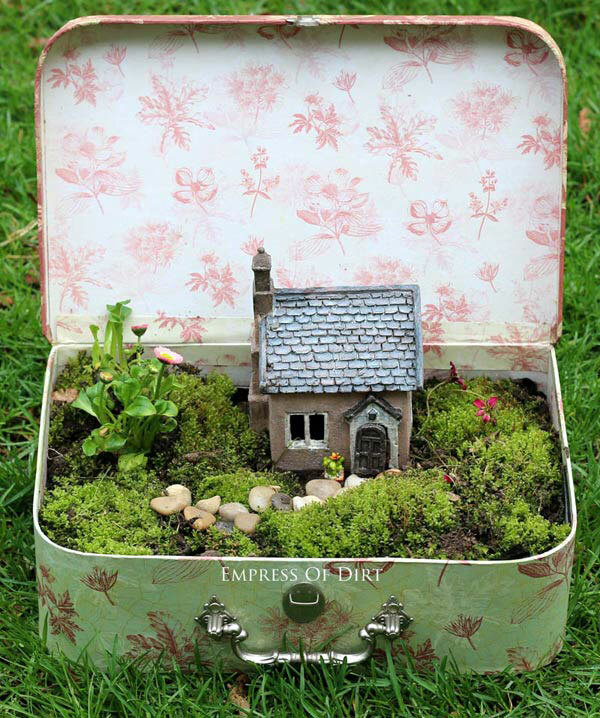 The fabulous Melissa of Empress Of Dirt even made a fairy garden out of a suitcase. Yes, you heard me right, a suitcase! 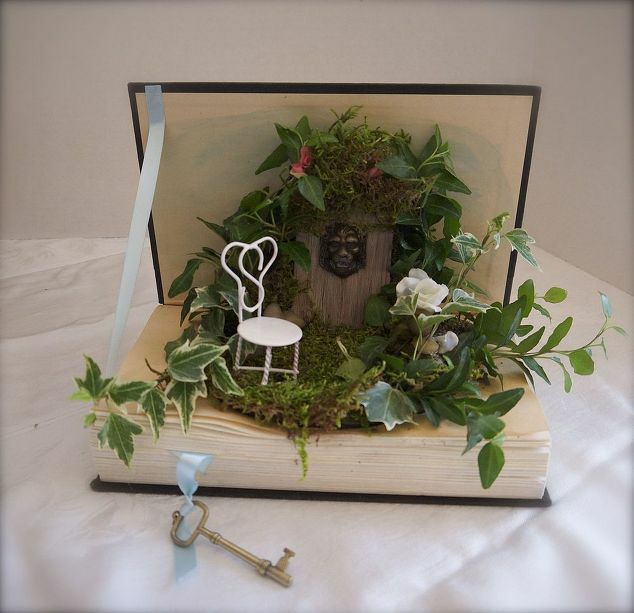 This fairy garden planted in a book by PennyWise is one of my favorites. Not sure how the watering part works, but it’s cute as can be! 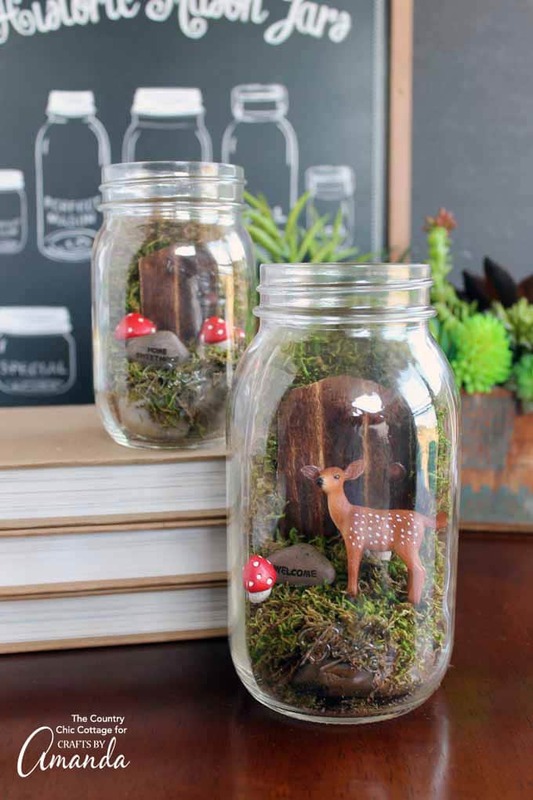 Have you made a fairy garden this year? With or without clowns? I’m so glad that he had a good time and that YOU had a good time, too! Everyone needs a change of scenery once in awhile! Glad you’re back and glad my fairy gardens are in your clipboard! Thanks. So glad you are back–and that Twinkies are back..and that your son is home 🙂 Enjoy! 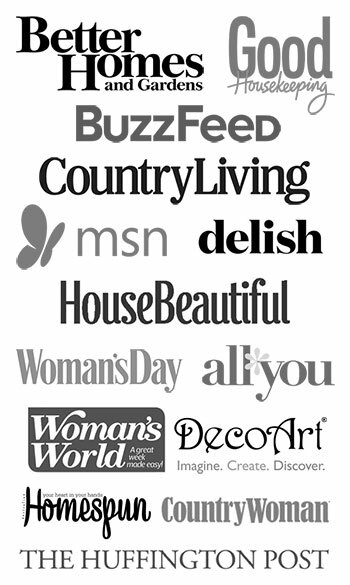 Sounds like you had a nice week! I am not a Twinkies fan, but I saw the vendor stocking them yesterday at the local grocery store. Enjoy!!! So happy you are back and sounding happy! Raspberries, yea. Twinkies, no. Too sweet. And, glad you’re rested and raring to go. Glad you had a good time and thanks for the info about Hometalk, it’s new to me. Enjoy your Twinkies!!! Glad you all had a nice time. WELCOME back. Welcome back, to you AND Twinkies! I had two Twinkies last night. Welcome back Pam! 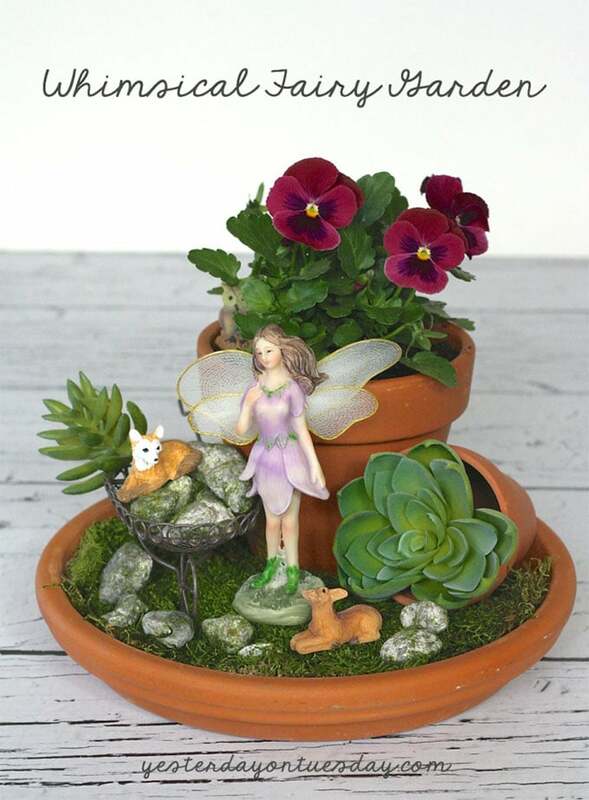 I visited your Hometalk site with all the adorable fairy gardens. My poor little gnome is still waiting for me to create a garden where he can be boss. Welcome back. 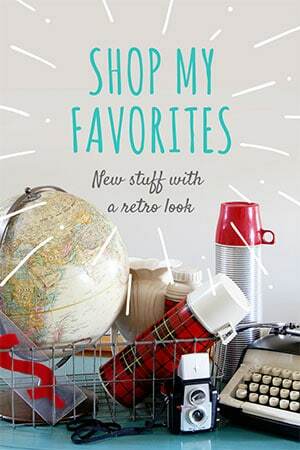 I’m so glad that your son had a good time and that YOU and your husband were able to enjoy some respite and shopping, too! 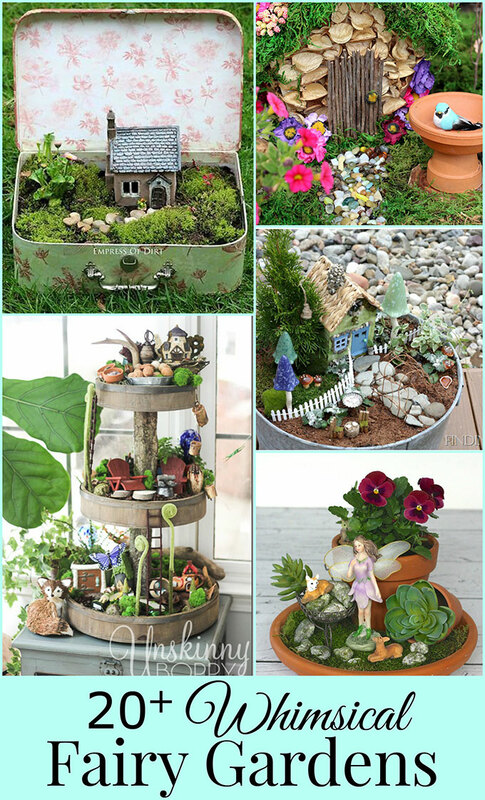 Awesome fairy garden ideas! Enjoyed the round-up!